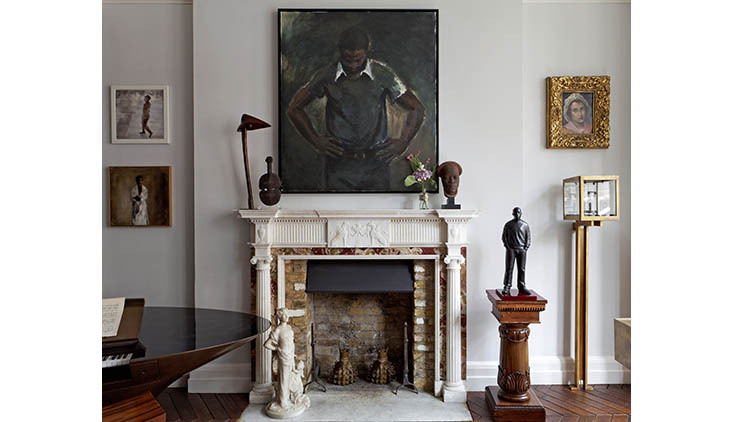 Jessica McCormack curated all the art and décor at the townhouse in London. Jessica McCormack wearing one of her diamond necklaces. 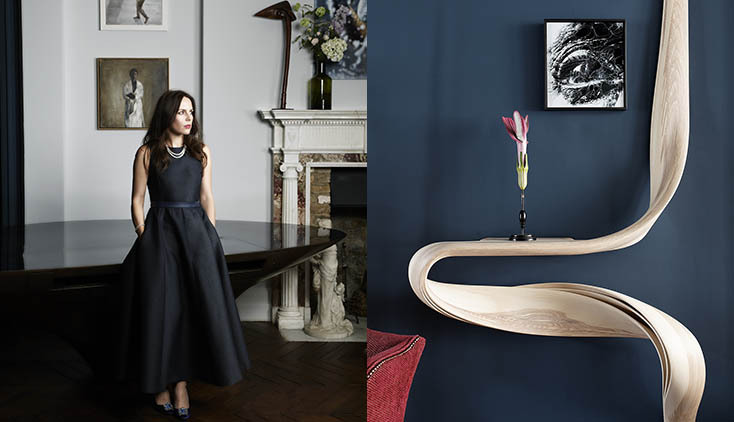 A Joseph Walsh shelf decorates a wall at the townhouse in London. 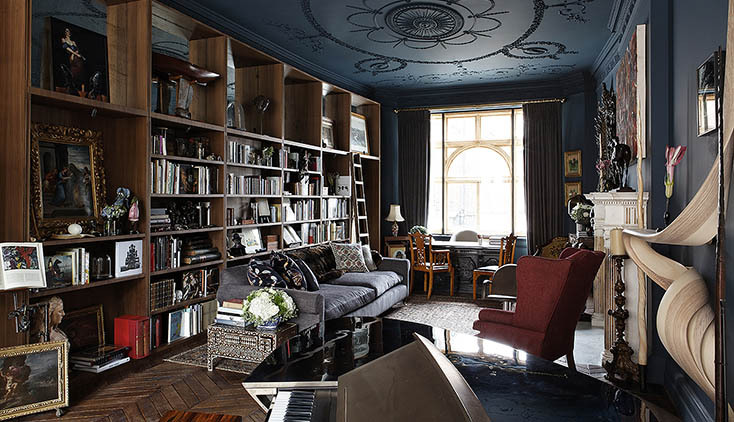 The library at the Jessica McCormack townhouse in London. 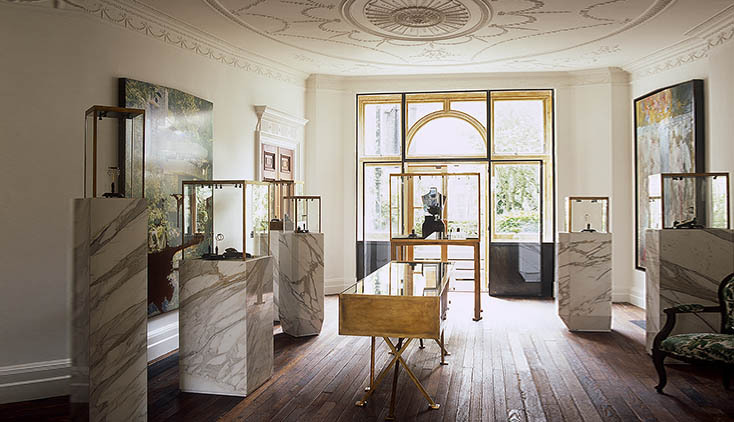 Jessica McCormack’s lavish townhouse boutique, located at 7 Carlos Place in the Mayfair district of London, is filled with antique furniture, contemporary art and ornate cases for diamond jewelry. 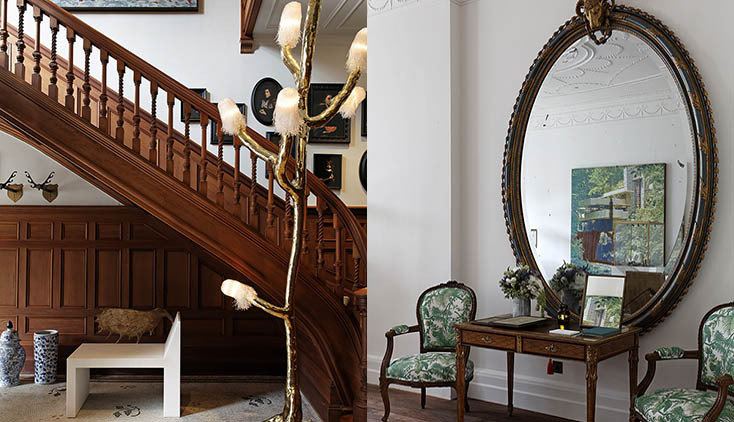 Since the designer moved into the spectacular nineteenth century building in 2013, the shop has been open to the public—no appointment required—yet the décor makes it feel like a private residence where one would like to linger. 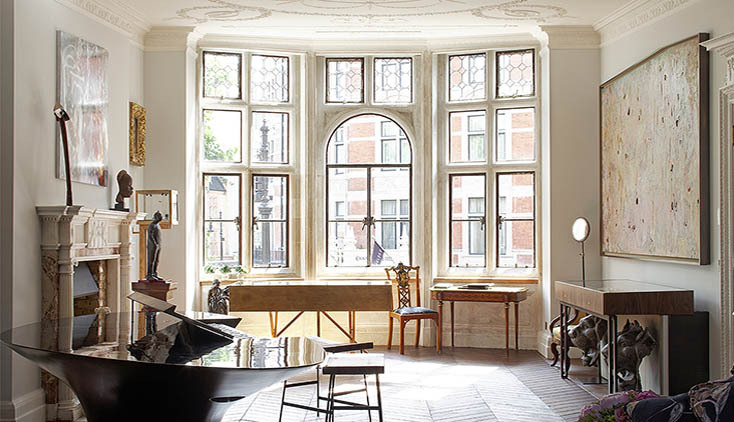 Indeed, several of Jessica’s clients (including James Rothschild and his wife Nicky Hilton Rothschild) have chosen to stay a while in the townhouse and work with the designer on a custom engagement ring. I spoke with Jessica to get the scoop on her favorite diamond cuts, how she sources her stones, and the popularity of her bespoke engagement rings. Read excerpts from our conversation in the story below and take a virtual tour of the townhouse in the slideshow above. What is the experience of buying an engagement ring like at your shop? I like to think of it as a little journey, whether it is someone wishing to find a ring or a couple creating a bespoke piece together. Some clients come in with sketches and a real sense of what they want and some will come with no idea at all. Often we start by showing clients our loose stones—as they may find one that speaks to them personally and wish to have a design created around the stone. More than anything else we want clients to feel comfortable and at home here. A diamond ring isn’t a quick purchase and clients should feel able to take time and enjoy the experience. That is why we chose 7 Carlos Place as our home. The area is like a little village in the heart of London, and has a completely different feeling to the busy Bond Street stores. Each piece of jewelry is created by hand at our in-house workshop. From design to creation, the whole journey happens here. 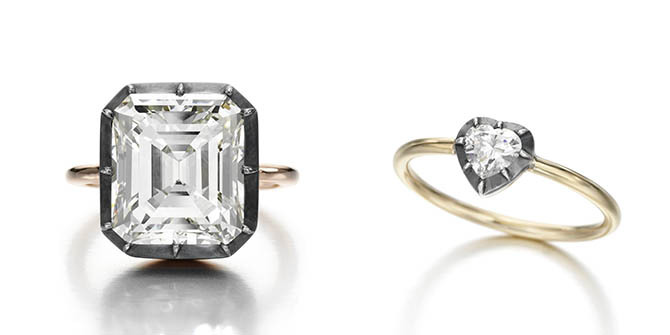 Are most of your engagement rings custom? Or do men come in and buy rings straight from the store? 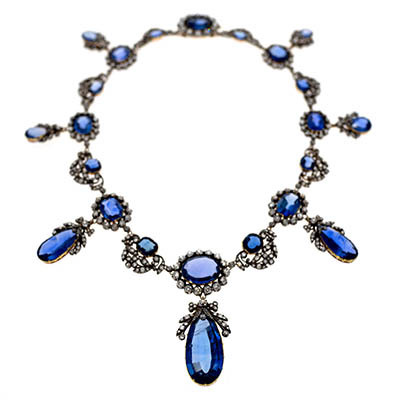 We have many clients who have come to us and chosen a style directly from the shop floor. Other clients come with an initial idea for a bespoke piece. Some clients wish to find a loose stone for the proposal, with a view to coming back and having something created bespoke. Some clients even propose with an initial sketch I’ve created for them, then return as a couple to decide on the finished design. There is no right or wrong way to propose, it is such a personal experience so we try and cater for whatever the client’s needs are. 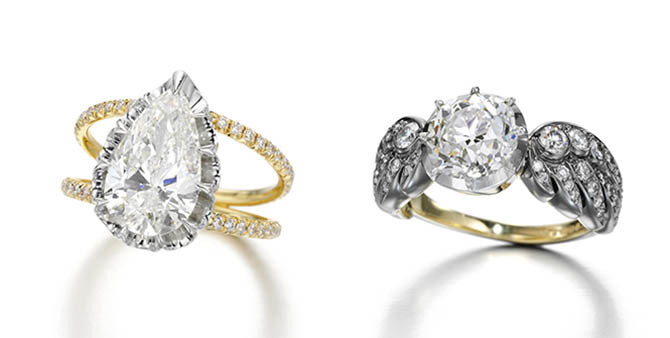 What are your favorite diamond shapes for engagement rings? My personal favorites are Old Mine Cuts. They are the true individuals of the diamond world. They have been cut by hand, so each one is truly one-of-a-kind. Their edges are softer than modern cuts. 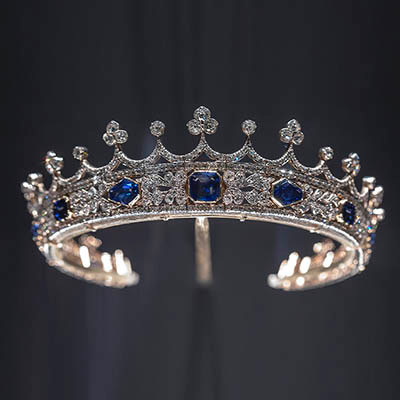 At the time when they were cut, optimizing the carat weight was paramount and therefore Old Mine Cuts have a nugget feel to them. This organic shape has more depth than modern cut diamonds. I love the fact they are handcrafted rather than being cut by machines. For each stone the cutter follows the rough diamond’s natural octahedral shape, rather than being optimized by a machine led process and therefore the shape is more determined by the natural beauty of the mineral in the artist’s eye. What diamond shapes are the most popular in your store? A traditional brilliant cut diamond ring will always remain the most popular, but a few years ago, we noticed a rise in clients asking for Asscher and cushion cut diamond engagement rings. Equally we have brides looking for something with a unique design, something that steps away from the traditional. 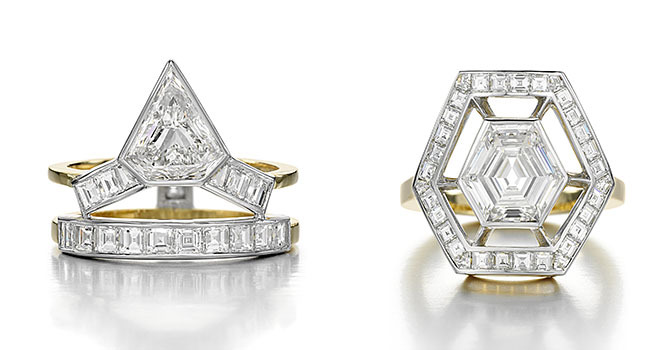 The ‘Tetris’ ring, inspired by the 80’s video game, has an amazing shield cut diamond. My business partner Michael Rosenfeld came to me with the diamond and I designed the ring around the shape of the stone. The New York rings have carré-cut diamonds and no central stone but this style has also been chosen for engagement rings. Neither are traditional choices in terms of diamond cut or the design but that’s the wonderful thing about my clients. They are looking for something that speaks to them, traditional or not! I am very lucky as my business partner Michael is a third generation diamantaire. He has the ability and expertise to filter and to understand what makes a good stone. Michael grew up in the world of diamonds and his family prided themselves in cutting a stone for how it should look, not for the weight. He sources the stones of character that my designs have come to be known for. 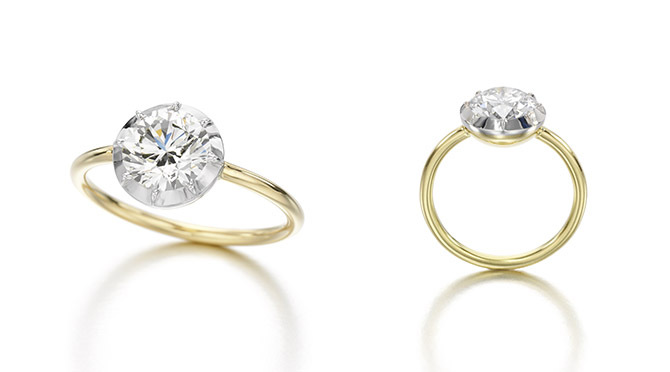 What types of metals do you like to use for engagement rings? I recently created a beautiful sapphire engagement ring with blackened white gold wings on a yellow gold band, and I love the mixed metals. Most of my designs feature the traditional Victorian hand-set technique of applying a sleeve of yellow gold to the back of white or black gold. What settings do you use for the engagement rings that you design? With all our engagement rings, we use Georgian techniques such as the cut-down button-back setting. 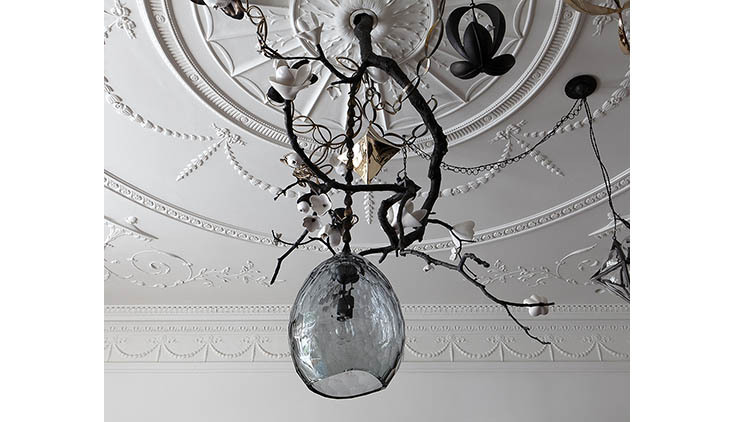 These techniques have become an intrinsic part of my design process and a signature house style throughout the collections. The button-back setting is a traditional technique from the Georgian era, for which I’ve always had a fondness. The technique shapes and encases the back of the diamond in gold, which increases the refraction of the light, producing a magical depth to the stone. This style is very comfortable to wear. The diamond sits low to the finger and close to the skin, and the smooth gold finish enclosing the diamond keeps the stone as sparkly as possible. 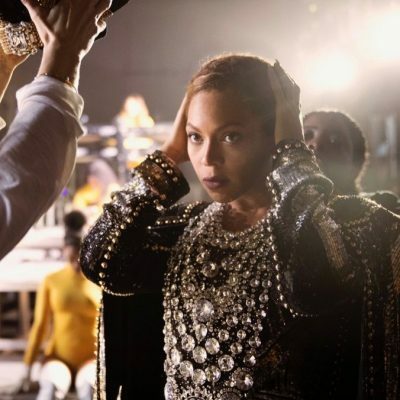 You are also known for the engagement ring jackets that turn the jewels into cocktail rings. What inspired them? 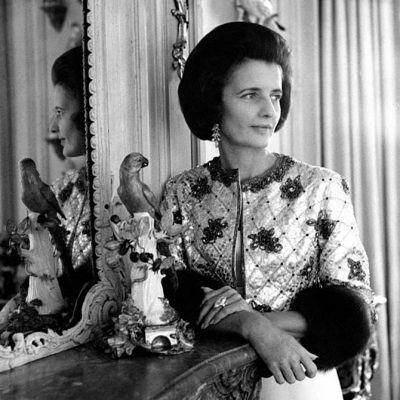 It all started with a ring from my husband’s great grandfather but I also had many clients with tales of old diamond rings sitting unworn, but not unloved, in their safe. The idea was to breathe new life into these pieces by creating a new ring to surround the existing one, altering the look but preserving the fabric and essence of the original piece. The Diamond Party Jacket is about having fun, being creative and playful with forgotten jewels. Clients love the idea of dressing up their rings and it’s amazing just how many women have a solitaire in their jewelry boxes that they do not wear or would love to enhance a little…or a lot. What does your own engagement ring look like? Did you design it yourself? I have actually designed two engagement rings for myself! The first was a Grey Diamond Daisy Ring and the second was a Yellow Diamond Wing of Desire ring. The Daisy ring had a beautiful brilliant cut natural grey diamond weighing 1.86 carats, surrounded by hand cut calibrated sapphires. A client fell in love with the ring so I sold it to her! The same then happened with the Yellow Diamond Wing of Desire ring, which had a cushion-shaped yellow diamond weighing 4.11 carats, set between shoulders each designed as a stylized wing. I couldn’t bare to say ‘no’ knowing they would be so loved. I am now planning to design my third and I am sure not my last.